Book a coach ticket from Maidstone to Brighton onboard a National Express coach with seats from just £5*. Get a price for a coach from Maidstone to Brighton and see if you can save on your coach fare with one of the National Express discounts schemes. If you're travelling off-peak and you're over 60 then you can get 1/3 off your standard coach ticket from Maidstone to Brighton, and 16 to 26 year olds can also save 1/3 on standard fares with the Your Persons Coachcard. In a group of 4 or more? 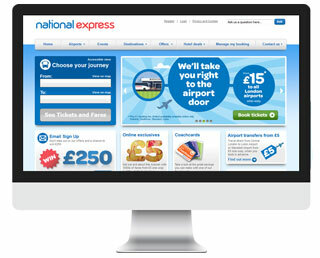 Get 25% off standard fares with National Express.